Stanley ST4HK-4000-1145 -SSHS Trash Water Pump Hose Kit, 4"
Product prices and availability are accurate as of 2019-04-10 15:27:56 EDT and are subject to change. Any price and availability information displayed on http://www.amazon.com/ at the time of purchase will apply to the purchase of this product. 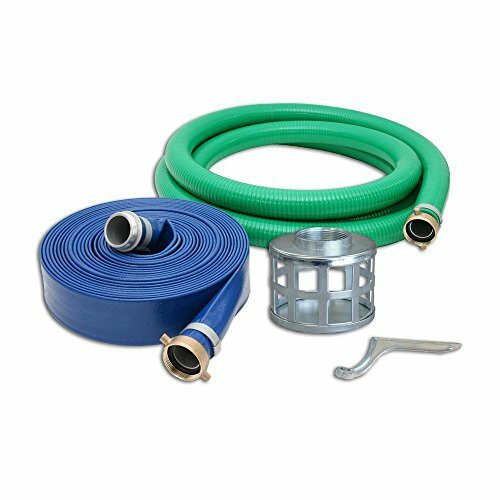 There's a hose kit available for every ST4HK-4000-1145 -SSHS of Stanley water pump, including suction and discharge hoses, steel strainers, Adapters for each pump, and a spanner wrench. Whatever the job is, Stanley makes sure you don't go in unprepared.